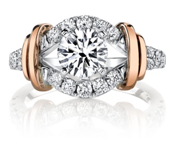 Quality comes first at Husar’s House of Fine Diamonds. If it is stamped with our name, it was wholeheartedly designed by Mary Husar, and meticulously crafted and produced by Husar’s House of Fine Diamonds. 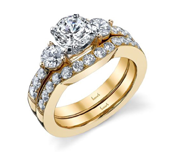 65 years have passed and Husar’s House of Fine Diamonds is still fulfilling their mission to provide customers with superior jewelry quality, excellent service and exclusive diamond education. 1,000 square feet of Husar’s Fine Diamonds is designated to the privacy of our customers and diamond education. 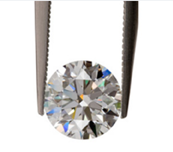 Diamond Presentation Rooms are equipped with gem-scopes, diamond grading equipment and lights that are optimized for the grading of diamonds. Mike Husar travels to the diamond capital of the world to hand select the most beautiful diamonds available. Only those that provide the best combination of cut, color and clarity are chosen.